'My fingers close around the trigger. I pause for a split second to think about the bullets I am about to spray across the ground. After today, I'll no longer be the new girl. 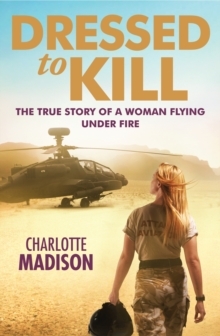 'Captain Charlotte Madison is blonde, beautiful and flies Apache helicopters for a living. She has completed two tours of duty in Afghanistan and is currently fighting on the frontline in her third. DRESSED TO KILL shows us what life is like for a girl in a resolutely male-dominated environment. But she isn't just a woman in a man's world, she's a woman women aspire to be - glamorous as well as brave, and beating the men at their own game. Only a tiny percentage of people can multi-task to the extreme level the aircraft demands, and most airmen who try to qualify as an Apache pilot fail. Full of the exciting, adrenaline-filled action that has made other military memoirs so successful, DRESSED TO KILL is also unique. 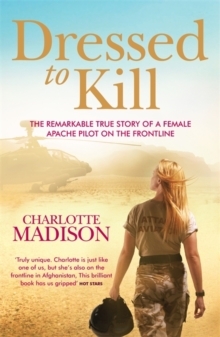 A highly intelligent and brilliant young woman, Charlotte is Britain's first female Apache pilot, and the first British female pilot to kill in an Apache. We have, quite simply, never seen the landscape of 21st-century frontline conflict from a perspective like hers. DRESSED TO KILL will appeal to anyone interested in current affairs, but it will also speak to a whole generation of young women who will relate to 27-year-old Charlotte in a way they never imagined possible.